Before anyone asks - Yes............ I am going to keep doing these until the disciplinary processes in rugby are changed. I hope you do. Its killing my enthusiasm for the game. The officiating disparity, not your GIFs. At the risk of upsetting any football fans, 'football is 90 minutes of pretending you've been hurt, whereas rugby is 80 minutes of pretending you haven't. These discrepancies will only push us down the football route. 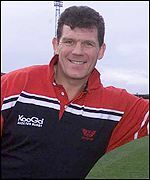 Wonder if Alun Wyn will be sighted for a nothing fore arm to the neck 😂😂 Thinking back to the Fonotia ban, it was laughable! He was lucky the Aussies didn’t whinge to the ref. That’s a red this season. I think this’ll be his last match of this autumn series. 3 weeks. 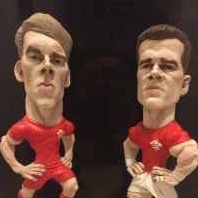 Will be a huge loss to Wales throughout November. Yes, I agree and ties in with my post above. If the Ozzie had gone down and writhed around on the floor, then its TMO time and possible red. Outcome based isnlt it, so no citing I suspect. Btw, Ozzie used to sing for Black Sabbath. Have you had a few beers Steve. No, Rob. Must be about 2 weeks since I had a beer. Are you telling me I’ve some catching up to do? If it's outcome based, will the citing commissioner do the right thing, embarrass the ref, and cite the guy who put a shoulder to 1/2p's head, sending him off for a HIA? As I wrote in the match thread, in SA v France there was a similar collision at a charge-down attempt - Nigel O and the TMO there decided it was a penalty but no more - but that guy stayed on and wasn't hurt... so the 1/2p one was more, not less, serious, no? 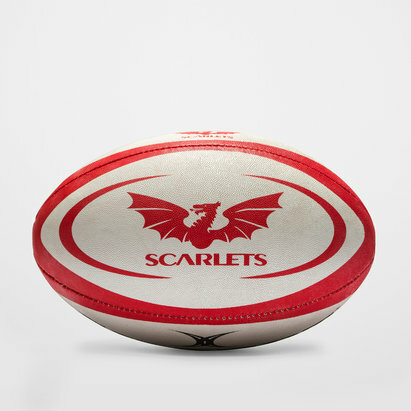 Maybe when we take a hit we should intoduce our players as sexton, and when we give a hit introduce them as farrell. I didn't see it, but it seems as if Martin Johnson - no stranger to the 'dark arts' - thought so too. At the very best interpretation, it was reckless. It's here. World Rugby are a joke. The responsibility for the contact sits with the tackler so diving in without looking where your shoulder is going is reckless play, the officials that called this as a Rugby collision clearly are not taking the new guidelines into account.